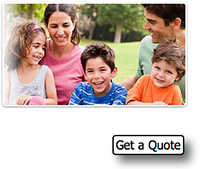 Individual Health Insurance Plans--Delaney Insurance Agency, Inc. Individual health insurance is, quite simply, coverage that an individual purchases for himself and/or his family. The Affordable Care Act (ACA) has made significant changes to how individual insurance policies are rated and the benefits that these policies provide. Individual policies are often purchased with the advice of a professional insurance producer due to the complexity of coverage offerings and the premium cost. With the advent of the ACA, a professional insurance producer's expertise may be even more critical since insurance policies have changed so dramatically. Whether or not a person has a pre-existing medical condition is no longer a factor when purchasing individual coverage. Since a person's medical condition is not a factor, individuals are limited to certain times when they can enroll in coverage. A person must enroll during an open enrollment period to gain coverage for the year. There are limited opportunities to purchase coverage at other times during the year as a result of a special enrollment right.